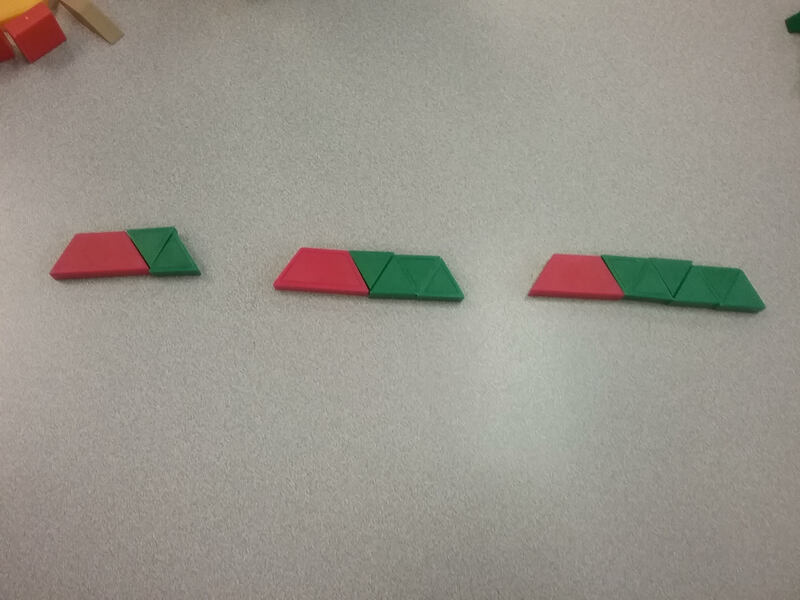 This picture is an example of linear relations because it starts off with a red trapezoid and then you add 2 green triangles to it each time. My drawings might not have the most accurate cut pictures (but to be fair, people are not perfect at cutting in real life anyways). 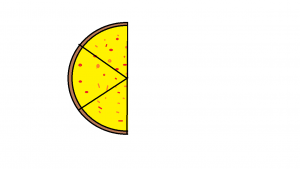 This is the pizza I’m using to describe common denominators with. 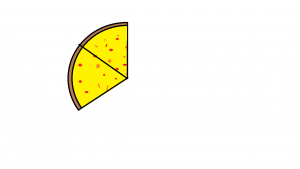 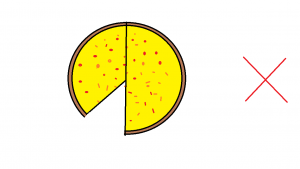 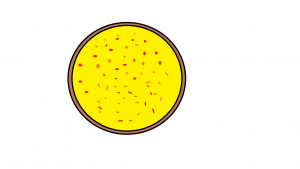 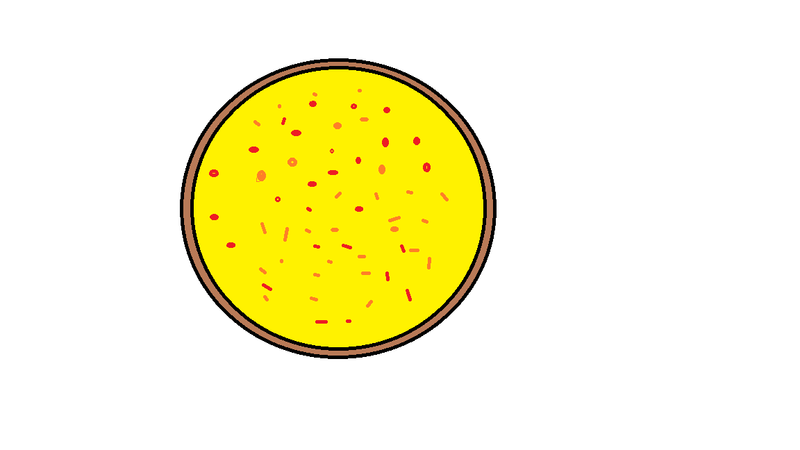 This is another pizza that is divided into halves, and this is only 1 piece, so the fraction would be 1/2. We need to evenly divide the pieces so the pizza pieces would all be even! 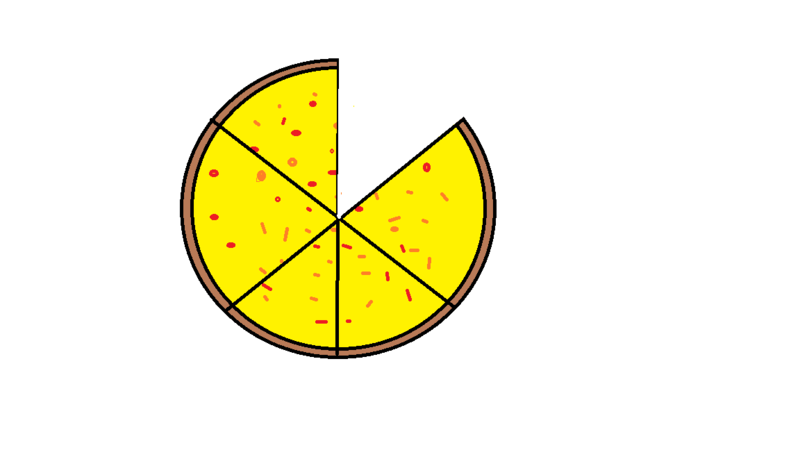 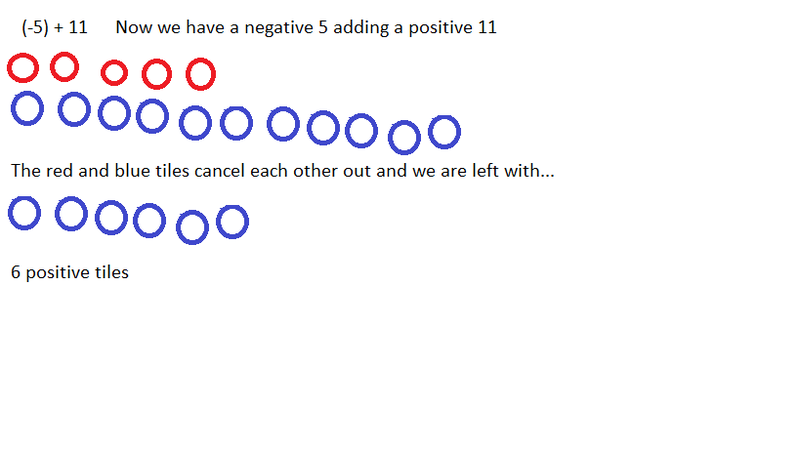 The common denominator between 2 and 3 is 6, so now we will divide the slices to make it go into 6. If you are struggling with common denominators in math, it is always good to use pictures to describe common denominators like the picture shown above. 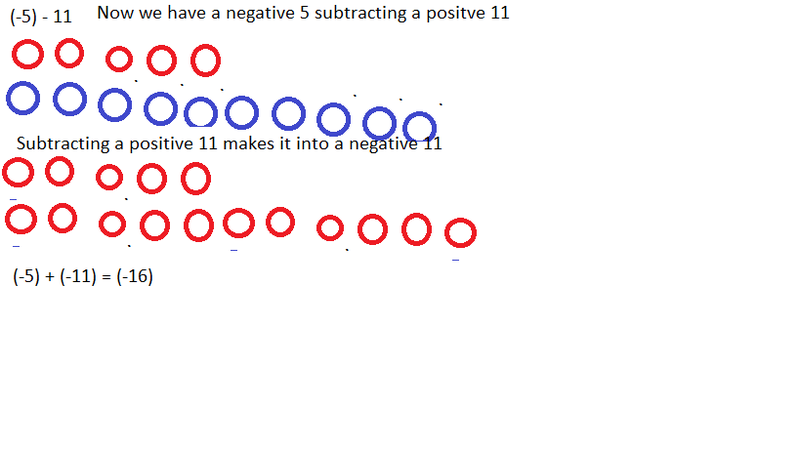 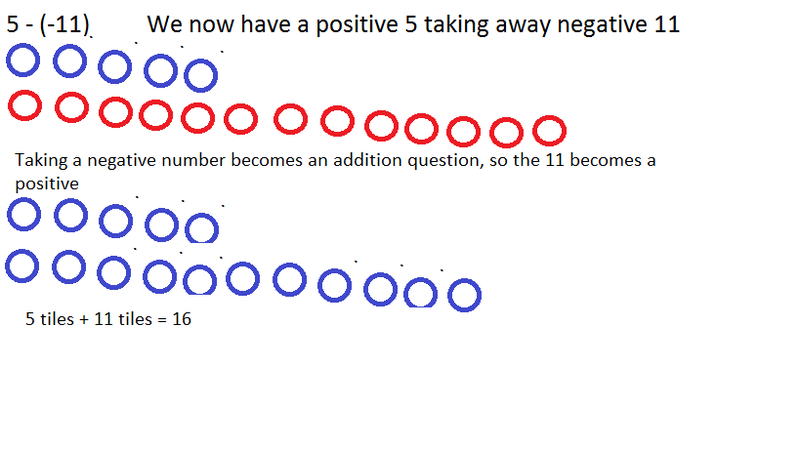 This is my math integers questions & answers using blue (positive) and red (negative) tiles. 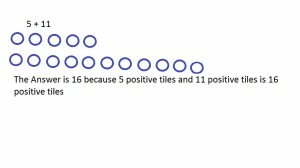 I learned how to do integers using tiles during this activity. 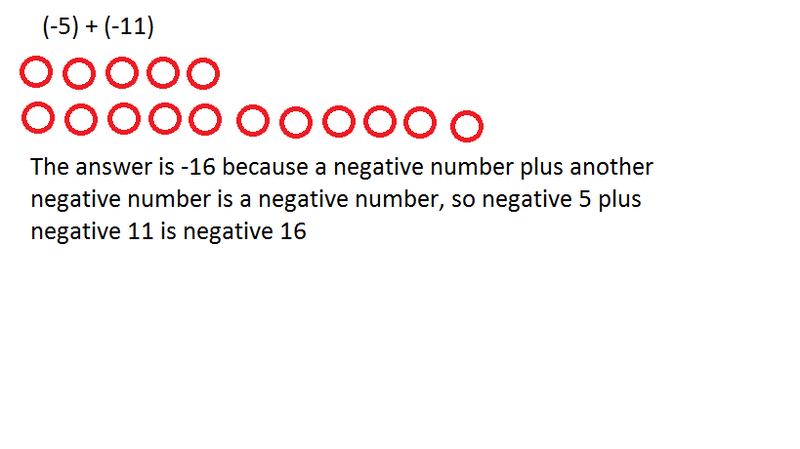 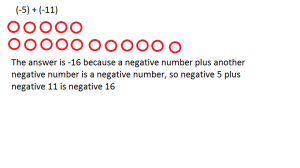 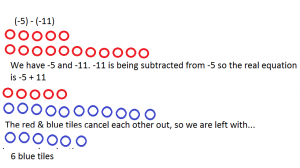 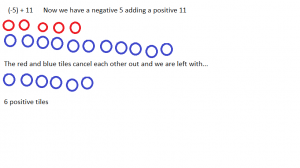 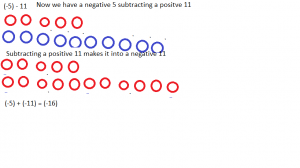 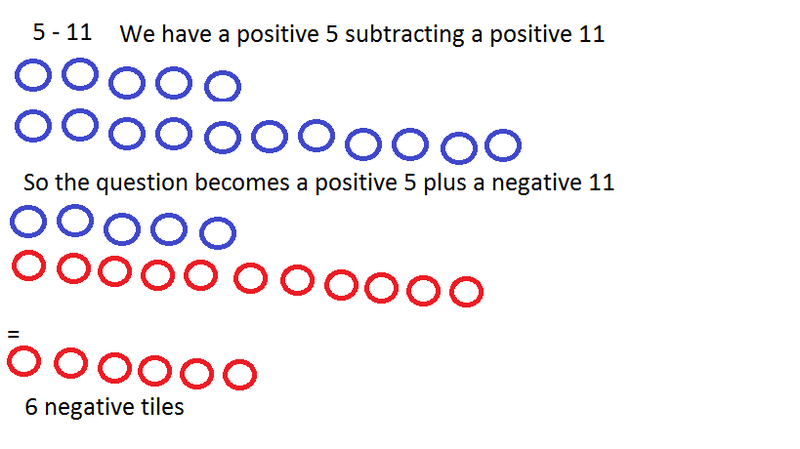 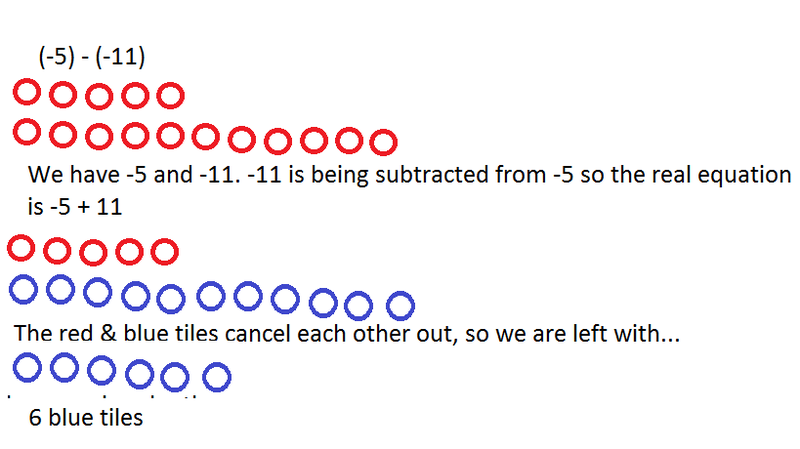 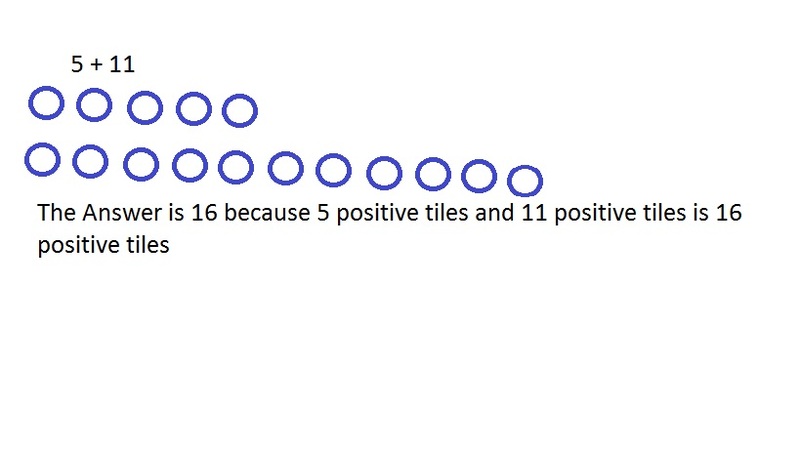 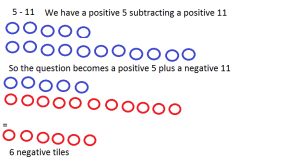 I think students need to know about adding / subtracting integers are that if you are subtracting a negative, it cancels each other and becomes a addition question.